The​ ​law​ ​shall​ ​enter​ ​into​ ​force​ ​on​ ​1​ ​October​ ​2017.​ ​The​ ​recently​ ​launched​ ​Federal​ ​Tax​ ​Authority​ ​website​ ​maintains​ ​a​ ​statement​ ​whereby​ ​Excise​ ​Tax​ ​will​ ​be introduced​ ​in​ ​the​ ​fourth​ ​quarter​ ​of​ ​2017. Excise, according to the Federal Court and Privy Council is a tax attracted by the event of manufacture but collected at some convenient stage which may be after the said event, which is only for administrative convenience. It is a duty levied upon goods manufactured and not upon sales or the proceeds of sale of goods. Therefore the duty of excise is levied on a manufacturer or producer in respect of the commodities produced or manufactured by him. It is a tax upon manufacture of goods and not upon sales or proceeds of sale of goods. 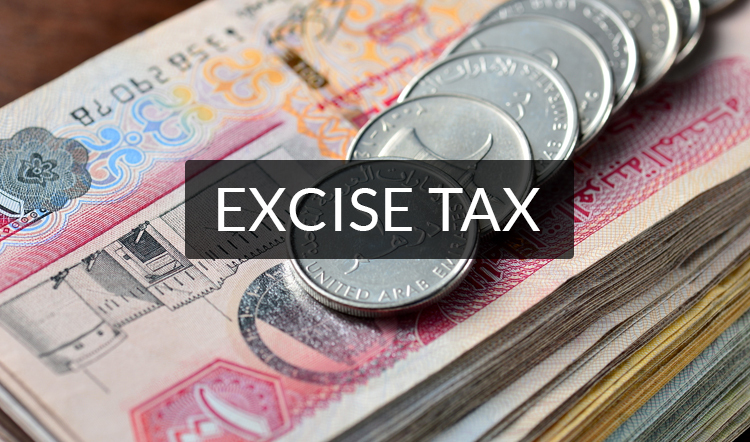 The UAE Government is levying excise tax to reduce consumption of unhealthy and harmful commodities while also raising revenues for the government that can be spent on beneficial public services. The​ ​FTA​ ​website​ ​includes definitions​ ​for​ ​carbonated​ ​drinks,​ ​energy​ ​drinks​ ​and​ ​tobacco​ ​products. It has been prescribed that the rate will not exceed 200%. 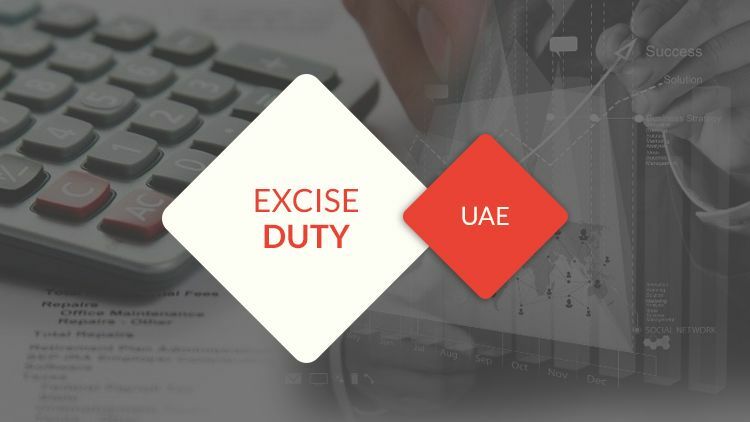 Products​ ​that​ ​are​ ​exported​ ​from​ ​the​ ​UAE​ ​shall​ ​be​ ​exempt​ ​from​ ​Excise​ ​Tax;​ ​other​ ​exemptions might​ ​be​ ​regulated​ ​in​ ​the​ ​Executive​ ​Regulations.​ ​Likewise​ ​the​ ​UAE​ ​Excise​ ​Tax​ ​Law​ ​provides for​ ​a​ ​number​ ​of​ ​refund​ ​cases. Designated​ ​Zones​ ​are​ ​defined​ ​as​ ​fenced​ ​free​ ​zones​ ​or​ ​any​ ​other​ ​area.​Excise​ ​Tax​ ​shall​ ​be​ ​levied​ ​only​ ​where​ ​the​ ​excisable​ ​goods​ ​are​ ​released from​ ​these​ ​areas​ ​into​ ​the​ ​local​ ​market,​ ​i.e.​ ​Excise​ ​Tax​ ​is​ ​suspended​ ​while​ ​the​ ​goods​ ​are​ ​kept inside​ ​these​ ​areas,​ ​whether​ ​for​ ​manufacturing​ ​or​ ​storing​ ​purposes,​ ​and​ ​where​ ​goods​ ​are moved​ ​between​ ​two​ ​Designated​ ​Zones. Registration​ ​for​ ​Excise​ ​Tax​ ​is​ ​generally​ ​required​ ​for​ ​entities​ ​that​ ​are​ ​involved​ ​in​ ​the manufacture,​ ​import​ ​or​ ​stockpiling​ ​of​ ​excisable​ ​goods​ ​for​ ​business​ ​purposes.​ The​ ​taxpayers​ ​will​ ​be​ ​able​ ​to​ ​deduct​ ​the​ ​Excise​ ​Tax​ ​paid​ ​for​ ​goods​ ​that are​ ​exported,​ ​goods​ ​that​ ​are​ ​used​ ​to​ ​manufacture​ ​other​ ​excise​ ​goods​ ​that​ ​will​ ​be​ ​subject​ ​to​ ​tax, and​ ​the​ ​Excise​ ​Tax​ ​paid​ ​by​ ​mistake​ ​from​ ​the​ ​Excise​ ​Tax​ ​due​ ​in​ ​each​ ​of​ ​the​ ​tax​ ​periods. 1. A Person shall be prohibited from conducting any activities that fall within clause (2) of Article (2) of this Decree-Law before registration thereof for Tax purposes in accordance with the provisions of this Article. 2. Without prejudice to the provisions of clause (1) of this Article, the Person liable for the Due Tax according to Article (4) of this Decree-Law shall apply to the Authority for Tax Registration as set forth in Federal Law No. (7) of 2017 on Tax Procedures, within 30 days as of the end of any month during which the Person carries out or intends to carry out activities mentioned in Article (2) of this Decree-Law, or from the effective date of this Decree-Law, whichever is later. 3. The Executive Regulation of this Decree-Law shall determine the effective date of the Tax Registration referred to in this Article. 1. Any Person operating or intending to operate a Designated Zone shall apply for registration as a Warehouse Keeper pursuant to what is specified in the Executive Regulation of this Decree-Law. 2. 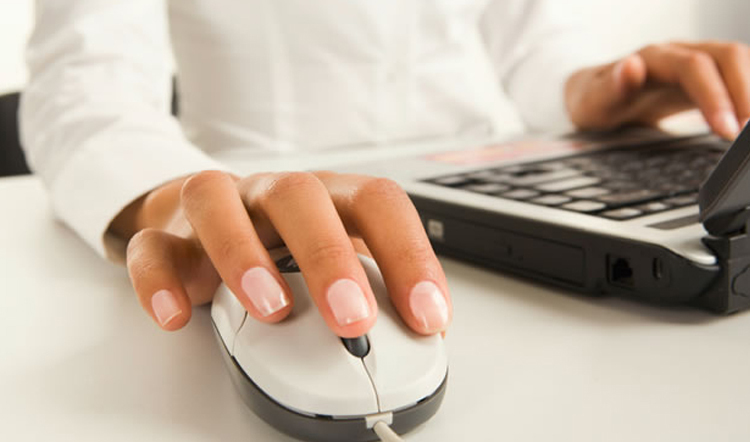 The Executive Regulation of this Decree-Law shall specify the effective date of registration referred to in this Article. 3. A Person shall not act as a Warehouse Keeper before his registration in accordance with this Article.